Perfect for remodeling. 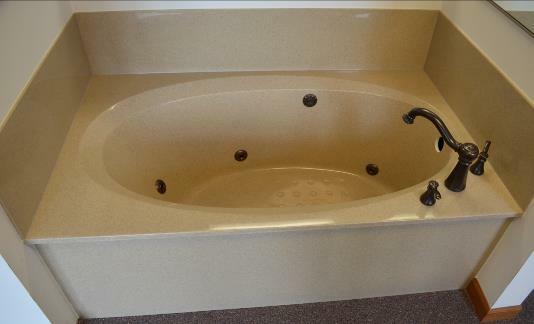 This 5’ tub fits into most standard tub spaces, gives you added depth, and can accommodate a whirlpool system. It features a slip-resistant bottom. Cast Wt of tub: 155 lbs. 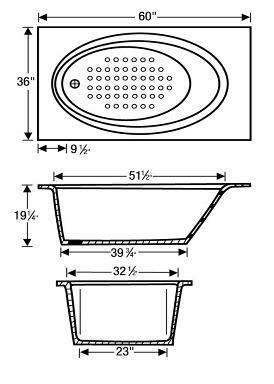 Tyvarian – only available in wall panels, pencil trim, caps, decking, & vanity tops with under mount bowls. Copyright © 2017 Superior Home Products. All rights reserved.